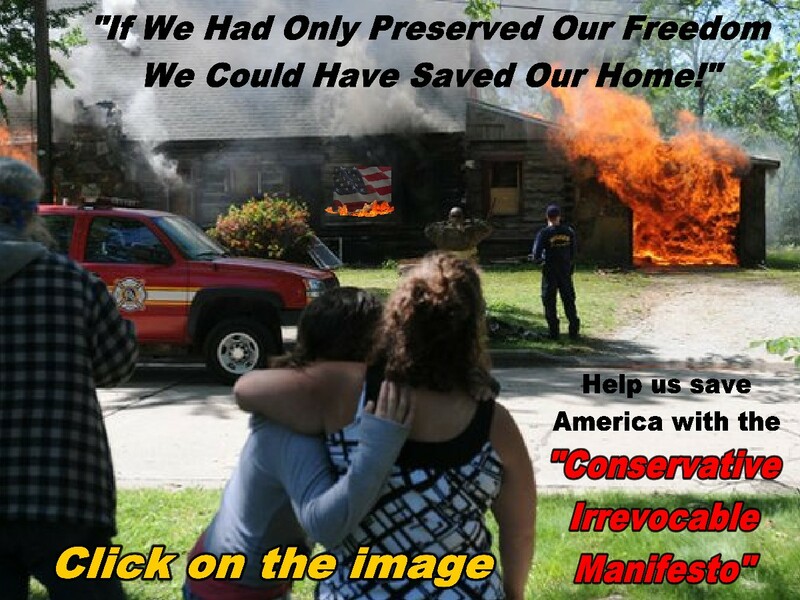 Government has an "Implied License" to come on your land anytime they feel like it. You can REVOKE that "Implied License" with our "Revocation" No Trespass Sign. If you really want to know about trespass law from a federal and state perspective, you need to study the PDF version of the 10th Circuit No Trespassing Sign Decision, which included a well-written, logical dissenting opinion from Judge Gorsuch when he was seated on the 10th Circuit. Essentially, the decision says that if you are to revoke the "implied consent" offered to anyone coming to your front door, including government agents and law enforcement, you had better put our No Trespassing sign on the front porch, as well as the front gate. You can study that decision HERE. An unlawful intrusion that interferes with one's person or property. Tort Law originated in England with the action of trespass. Initially trespass was any wrongful conduct directly causing injury or loss; in modern law trespass is an unauthorized entry upon land. A trespass gives the aggrieved party the right to bring a civil lawsuit and collect damages as compensation for the interference and for any harm suffered. Trespass is an intentional tort and, in some circumstances, can be punished as a crime. Trespass is one of the ancient Forms of Action that arose under the Common Law of England as early as the thirteenth century. It was considered a breach of the king's peace for which the wrongdoer might be summoned before the king's court to respond in a civil proceeding for the harm caused. Because the king's courts were primarily interested in land ownership disputes, the more personal action of trespass developed slowly at first. Around the middle of the fourteenth century, the clerks of the king's courts began routinely giving out writs that permitted a plaintiff to begin a trespass action. Before that time criminal remedies for trespass were more common. The courts were primarily concerned with punishing the trespasser rather than compensating the landowner. From the beginning a defendant convicted of trespass was fined; a defendant who could not pay the fine was imprisoned. The fine in this criminal proceeding developed into an award of damages to the plaintiff. This change marked the beginning of tort action under the common law. As trespass developed into a means of compelling the defendant to compensate the plaintiff for injury to his property interests, it took two forms: an action for trespass on real property and an action for injury to Personal Property. In an action for trespass on land, the plaintiff could recover damages for the defendant's forcible interference with the plaintiff's possession of his land. Even the slightest entry onto the land without the plaintiff's permission gave the plaintiff the right to damages in a nominal sum. An action for trespass to chattels was available to seek damages from anyone who had intentionally or forcibly injured personal property. The injury could include carrying off the plaintiff's property or harming it, destroying it, or keeping the plaintiff from holding or using it as she had a right to do. Later, an additional Cause of Action was recognized for injuries that were not forcible or direct. This action was called trespass on the case or action on the case because its purpose was to protect the plaintiff's legal rights, rather than her person or land, from intentional force. Over the years the courts recognized other forms of actions that permitted recovery for injuries that did not exactly fit the forms of trespass or trespass on the case. Eventually, writs were also issued for these various types of actions. For example, a continuing trespass was a permanent invasion of someone's rights, as when a building overhung a neighbor's land. A trespass for mesne profits was a form of action against a tenant who wrongfully took profits, such as a crop, from the property while he occupied it. A trespass to try title was a form of action to recover possession of real property from someone who was not entitled to it. This action "tried title" so that the court could order possession for the person who turned out to be the rightful owner. These common-law forms of action had serious shortcomings. A plaintiff who could not fit her complaint exactly into one of the forms could not proceed in court, even if she obviously had been wronged. Modern law has remedied this situation by enacting rules of Civil Procedure that replace the common-law forms with more flexible ways of wording a civil complaint. The various trespass actions are still important, however, because modern property laws are largely based on them. The rights protected remain in force, and frequently even the old names are still used. In modern law the word trespass is used most commonly to describe the intentional and wrongful invasion of another's real property. An action for trespass can be maintained by the owner or anyone else who has a lawful right to occupy the real property, such as the owner of an apartment building, a tenant, or a member of the tenant's family. The action can be maintained against anyone who interferes with the right of ownership or possession, whether the invasion is by a person or by something that a person has set in motion. For example, a hunter who enters fields where hunting is forbidden is a trespasser, and so is a company that throws rocks onto neighboring land when it is blasting. Every unlawful entry onto another's property is trespass, even if no harm is done to the property. A person who has a right to come onto the land may become a trespasser by committing wrongful acts after entry. For example, a mail carrier has a privilege to walk up the sidewalk at a private home but is not entitled to go through the front door. A person who enters property with permission but stays after he has been told to leave also commits a trespass. Moreover, an intruder cannot defend himself in a trespass action by showing that the plaintiff did not have a completely valid legal right to the property. The reason for all of these rules is that the action of trespass exists to prevent breaches of the peace by protecting the quiet possession of real property. In a trespass action, the plaintiff does not have to show that the defendant intended to trespass but only that she intended to do whatever caused the trespass. It is no excuse that the trespasser mistakenly believed that she was not doing wrong or that she did not understand the wrong. A child can be a trespasser, as can a person who thought that she was on her own land. Injury to the property is not necessary for the defendant to be guilty of trespass, although the amount of damages awarded will generally reflect the extent of the harm done to the property. For example, a person could sue birdwatchers who intruded onto his land but would probably receive only nominal damages. A farmer who discovers several persons cutting down valuable hardwood trees for firewood could recover a more substantial amount in damages. Trespassers are responsible for nearly all the consequences of their unlawful entry, including those that could not have been anticipated or are the result of nothing more wrongful than the trespass itself. For example, if a trespasser carefully lights a fire in the stove of a lake cabin and a fault in the stove causes the cabin to burn down, the trespasser can be held liable for the fire damage. Courts have had to consider how far above and below the ground the right to possession of land extends. In United States v. Causby, 328 U.S. 256, 66 S. Ct. 1062, 90 L. Ed. 1206 (1946), the U.S. Supreme Court held the federal government liable for harm caused to a poultry business by low-altitude military flights. The Court concluded that because the airspace above land is like a public highway, ordinary airplane flights cannot commit trespass. In this case, however, the planes were flying below levels approved by federal law and regulations, so the government was held responsible. Its activity was a "taking" of private property, for which the Fifth Amendment to the U.S. Constitution requires just compensation. It may be a trespass to tunnel or mine under another person's property, to force water or soil under the property, or to build a foundation that crosses under the boundary line. Underground encroachments are usually an exception to the rule that no harm needs to be shown in order to prove a trespass. Generally, trespass actions are permitted only where there is some damage to the surface or some interference with the owner's rights to use her property Trespass by One Entitled to Possession. In nearly all states, a person who forcibly enters onto land is guilty of a crime, even if that person is entitled to possession of the land. For example, a landlord who personally tries to eject a tenant creates a potentially explosive situation. To discourage such "self help," the states provide legal procedures for the rightful owner to use to recover his land. Many states do not let the illegal occupant sue the rightful owner in trespass for his forcible entry, but the occupant can sue for Assault and Battery or damage to her personal property. A trespass is continuing when the offending object remains on the property of the person entitled to possession. A building or fence that encroaches on a neighbor's property creates a continuing trespass, as does a tree that has fallen across a boundary line. Some courts have allowed a series of lawsuits where there is a continuing trespass, but the prevailing view is that the dispute should be settled in its entirety in one action. The remedies can be tailored to the particular kind of harm done. A defendant might have to pay damages to repair the plaintiff's property or compensate the plaintiff for the diminished value of her property. Where a structure or object is on the plaintiff's property, the defendant may be ordered to remove it. In some cases a defendant is not liable for trespass even though she has intruded onto another's property. Public officials, for example, do not have any special right to trespass, but a housing inspector with a Search Warrant can enter someone's building whether the owner consents or not. A police officer can pursue a criminal across private property without liability for trespass. The police officer's defense to a claim of trespass is her lawful authority to enter. A hotel employee who enters a guest's room to perform housekeeping services is not a trespasser because it is customary to assume that guests want such services. If charged with trespass by the guest, the hotel would claim the guest consented to the employee's entry. A landlord does not have the right to enter a tenant's apartment whenever the landlord wants. However, the landlord usually has the right to enter to make repairs. The landlord must arrange a reasonable time for the repairs, but the tenant's consent to this arrangement is either contained in the lease or is implied from the landlord's assumption of responsibility for making repairs inside the apartment. A person is not guilty of trespass if he goes onto another's land to protect life or property during an emergency. For example, a passerby who sees someone pointing a gun at another person may cross onto the property and subdue the person with the gun. Someone at the scene of a traffic accident may go onto private property to pull a victim from one of the vehicles. Permission to enter someone else's property can be given either by consent or by license. Consent simply means giving permission or allowing another onto the land. For example, a person who lets neighborhood children play in her yard has given consent. Consent may be implied from all the circumstances. A homeowner who calls a house painter and asks for an estimate cannot later complain that the painter trespassed by coming into her yard. / Sometimes consent to enter another's land is called a license, or legal permission. This license is not necessarily a certificate and may be in the form of a written agreement. For example, an electric company might have a license to enter private property to maintain electrical lines or to read the electric meter. The employees cannot act unreasonably when they make repairs, and they and the company are liable for any damage they cause to the property. A homeowner is limited in what he can do to protect his family and property from trespassers. The homeowner cannot shoot children who keep cutting across the lawn or set traps or deadly spring-operated guns to kill anyone who trespasses on the property. Deadly Force in any manner is generally not justifiable except in Self-Defense while preventing a violent felony. Mere trespass is not a felony. The owner or person in possession of real property can be held liable if guests are injured on the property because of the owner's Negligence. A property owner generally does not have the same duty to make the premises safe for a trespasser, however. A trespasser assumes the risk of being injured by an unguarded excavation, a fence accidentally electrified by a falling wire, or a broken stair. The occupant of real property has a duty only to refrain from intentionally injuring a trespasser on the premises. These general rules have several exceptions, however. A property owner who knows that people frequently trespass at a particular place on his land must act affirmatively to keep them out or exercise care to prevent their injury. If the trespasser is a child, most states require an occupant of land to be more careful because a child cannot always be expected to understand and appreciate dangers. Therefore, if the property owner has a swimming pool, the law would classify this as an attractive nuisance that could be expected to cause harm to a child. The property owner must take reasonable precautions to prevent a trespassing child from harm. In this case the erection of a fence around the swimming pool would likely shield the property owner from liability if a child trespassed and drowned in the pool. At common law a trespass was not criminal unless it was accomplished by violence or breached the peace. Some modern statutes make any unlawful entry onto another's property a crime. When the trespass involves violence or injury to a person or property, it is always considered criminal, and penalties may be increased for more serious or malicious acts. Criminal intent may have to be proved to convict under some statutes, but in some states trespass is a criminal offense regardless of the defendant's intent. Some statutes consider a trespass criminal only if the defendant has an unlawful purpose in entering or remaining in the place where he has no right to be. The unlawful purpose may be an attempt to disrupt a government office, theft, or Arson. 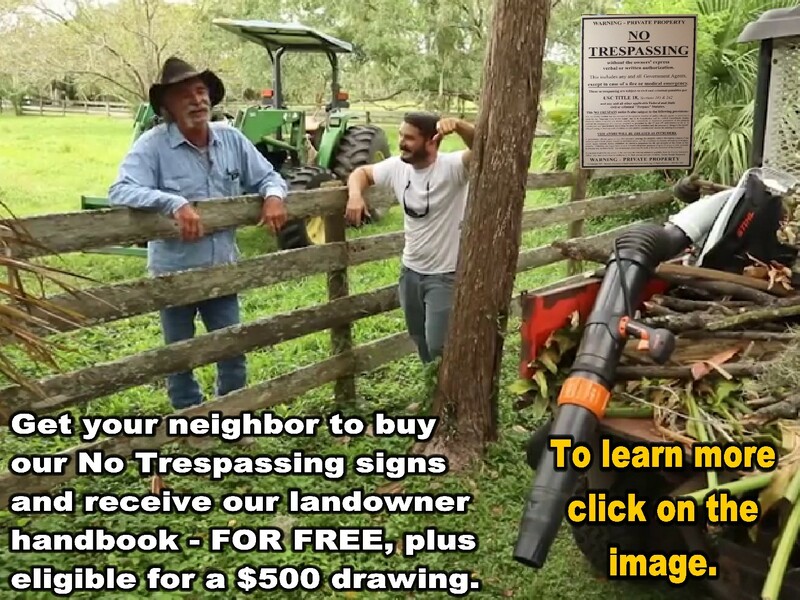 Statutes in some states specify that a trespass is not criminal until after a warning, either spoken or by posted signs, has been given to the trespasser. Criminal trespass is punishable by fine or imprisonment or both. © Copyright January 2007 - 2019 by the National Association of Rural Landowners - All rights reserved.